NiceTranslator - Speaking another language couldn't be much easier ~ Android Forever! The day isn't far away when you can say what you want in English and your Japanese hearer will hear in his own language, in real time. But it's not here yet. For now, though, this is pretty simple. 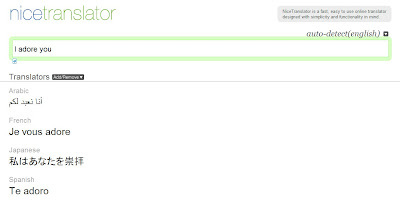 "NiceTranslator is a fast, easy to use online translator designed with simplicity and functionality in mind. "